In the framework of the recent conclusion 2017 IFA in Berlin, the manufacturer has shown exclusive brackets, which combine functionality and design, to adapt to ultra fine formats and experience in image quality offered by these systems. Televisions OLED generate a differential experience of image quality in domestic and professional environments, unimaginable just a few years. Vogel’s has adapted to these new screens with exclusive supports, that combine functionality and design, as it has been seen recently during their participation in IFA 2017. The company offered a preview of two new wall brackets in the Thin, with the model 546, and Next 7356 series in this contest. Ultra-thin and Swivel, the first includes the unique characteristics of the series Thin, becoming the finest range and intended for screens from 40 to 65 ", with a maximum weight of 30 Kg. Another advantage of Thin 546, which will be available at the end of 2017, is that depending on the width of the screen rotation angle increases to 180 degrees. For his part, Motion Mount Next 7356 is a wall bracket for motorized TV, specifically designed for TVs OLED between 40 and 65 "with a maximum load of 30 Kg, which will be on the market in the first quarter of 2018, that automatically moves and controlled mediate you an app. Vogel's already introduced in the year 2016 support Next 7346, designed especially for the range of LG OLED most widespread of this manufacturer (LG G6, E6, C6, B6, B7, C7, E7). 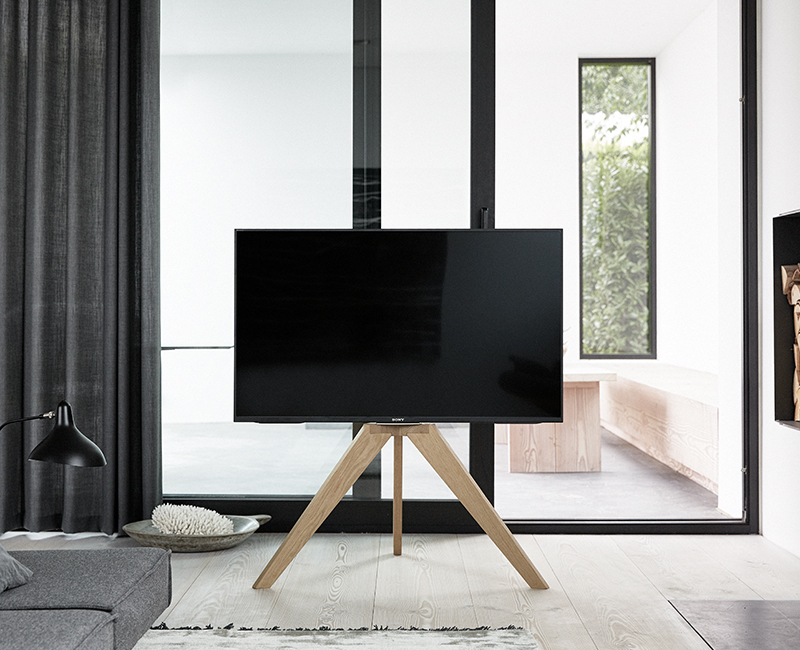 As could be seen in IFA 2017, Vogel's has collaborated in Malte Kidde Danish product designer to create the stand Next OP1, a piece of furniture that simulates a tripod for the TV. "We always look for new designs and inspiring collaborations, as with Malte Kidde, since their product designs fit perfectly with the philosophy of Vogel's, and this is the first part of a new series", said Gerdi Vogels, CEO of Vogel's in Eindhoven. Simple lines and natural materials, Next OP1 fits anywhere and decor and can move smoothly, with accessories such as Ophang, which allows you to connect a game console to the TV without spoiling the clean lines of this bracket with cables, which are they can hide within the rear leg and out to convenience. 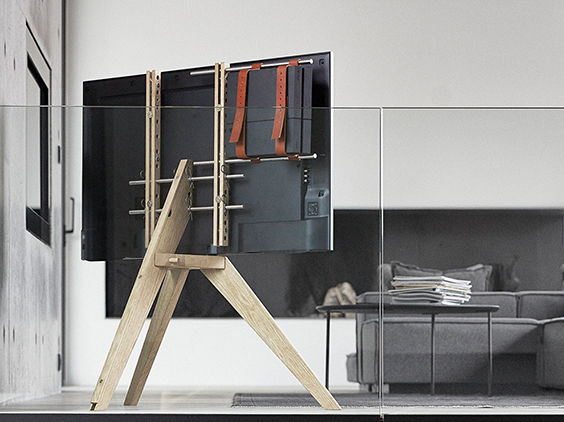 Next OP1 single design serves to almost any flat screen TV's 46 to 70 inches (maximum 40 Kg), with the maximum reliability of fastening a light frame with three legs. This system will be marketed through the exclusive network of distributors of Vogel completo Next in Netherlands, Germany and Scandinavia.